The introduction of technology to the human population has been so sudden that it has now become a part of our lives. From social networking sites to emails, we have somehow become too dependent on these things. As a result, we often forget proper digital communication and even email etiquette. Most of us these days use technology as a means of reaching out to our loved ones who are on the other side of the world. It has become easier and faster now to communicate compared to sending post mails. However, we need to learn the proper way of sending email message. 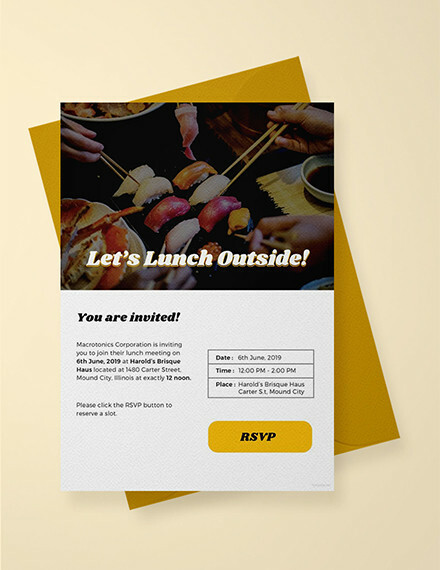 What Is an Email Invitation? 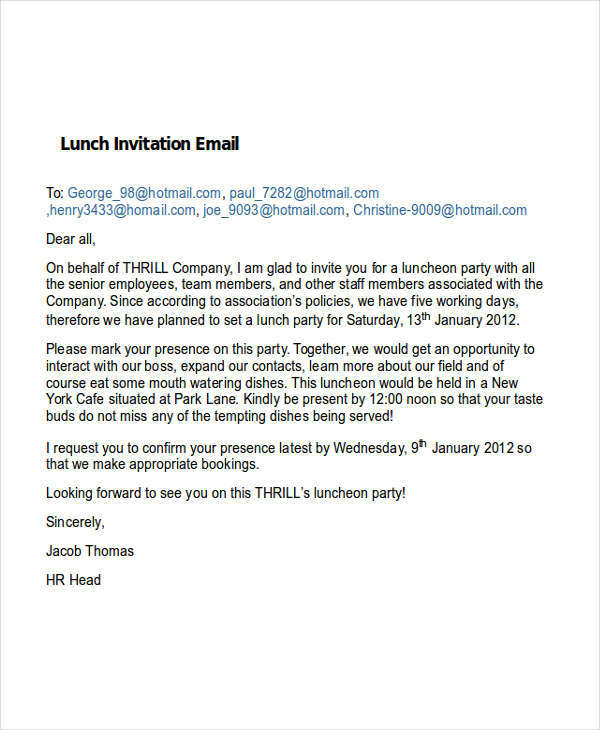 An email invitation is an electronic means of sending an invite to a person or a group of people to come to a particular event. It is the technological version of sending an invitation by post. You may also see internship email examples & samples. Most people turn to this method because of various reasons. One of it is cost-effectiveness. 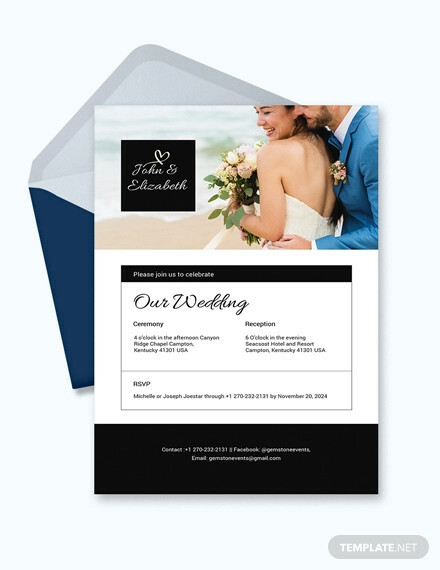 Unlike the traditional invitation, you have to spend a considerable amount of money to print invitations plus an additional cost to send them by post. 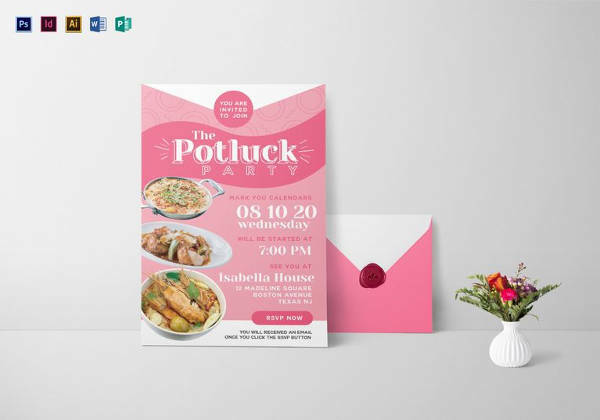 By using formal email in pdf, all you need is a digital graphic print, typewritten words, and internet to send to everyone. 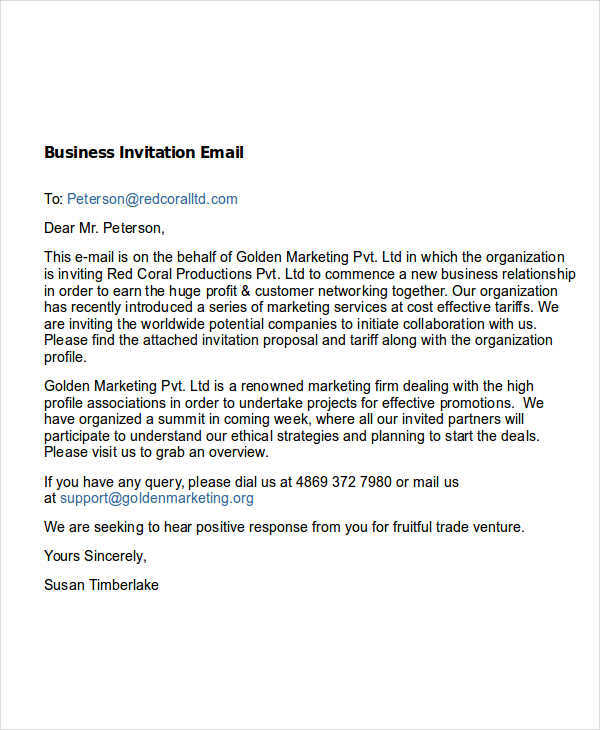 You do not have to be professional email for you to write an invitation email. All you need to do is to create an email account, an internet connection, and a computer and you are all set. Here are the steps to write an invitation email. You need to type the email address of the recipients of your invitation. Make sure that the spellings are correct as they might be sent to someone else. 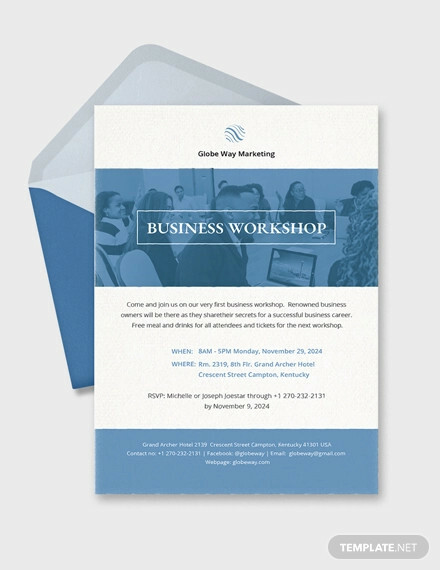 You may also like business email examples & samples. 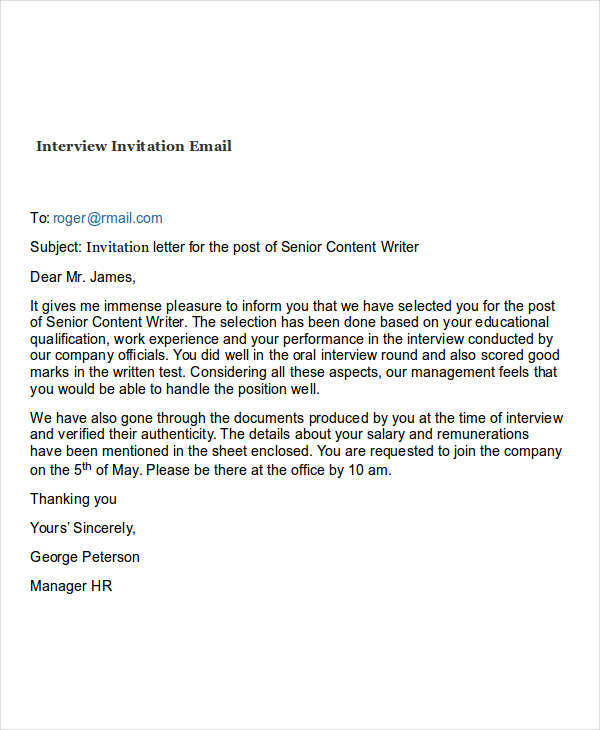 Type the content of your email. 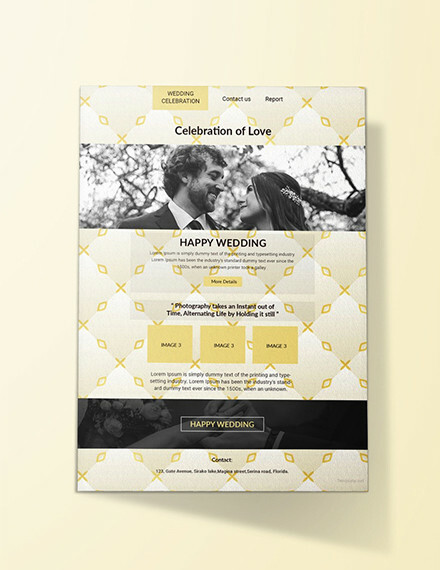 State the purpose of the invitation example. 3. State your Complimentary Closing. You can simply say “Sincerely yours,” then write your name. 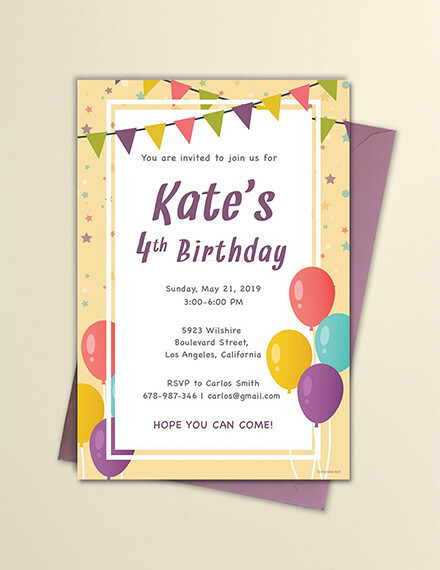 The content of an invitation email message is the same as a traditional invitation except it is simpler and direct. This is probably the most important thing to include in your invitation. Without this, your email will not be sent and will be saved as a draft. 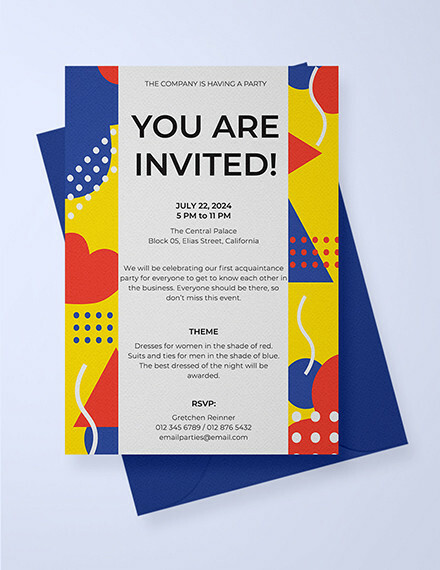 This is the body of the email where you say what the event is for and why you are inviting the person. This also includes the important details such as the place, date and time, and attire (if any). 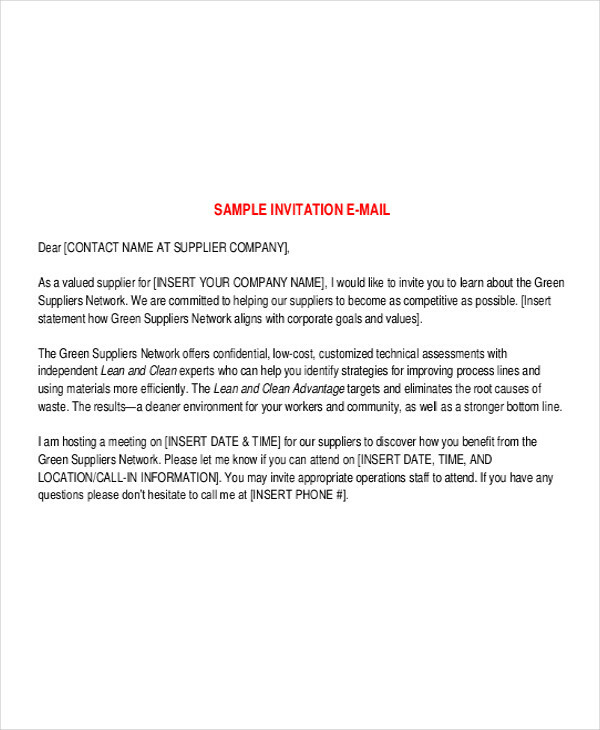 You may also see format of an email message. You can simply put your name or you can use a software that can incorporate your digital email signature into your email. 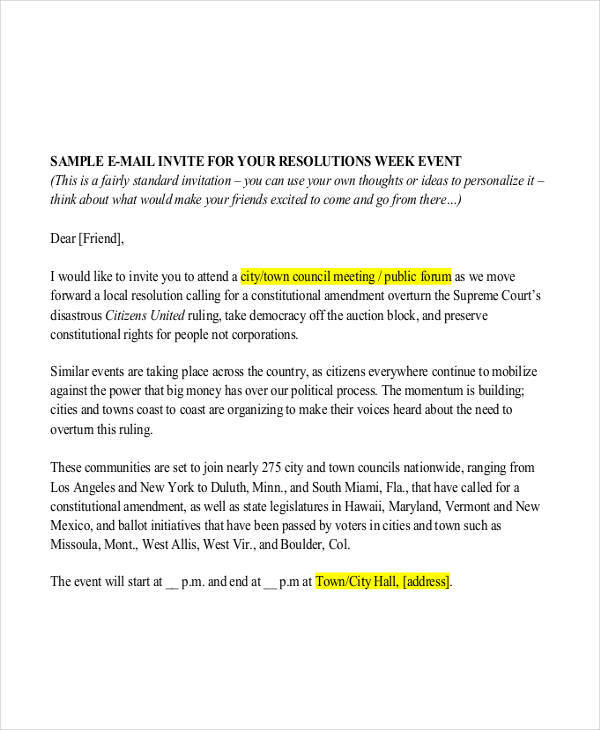 An email would not be compelling if you don’t have the necessary writing skills (see formal email examples). 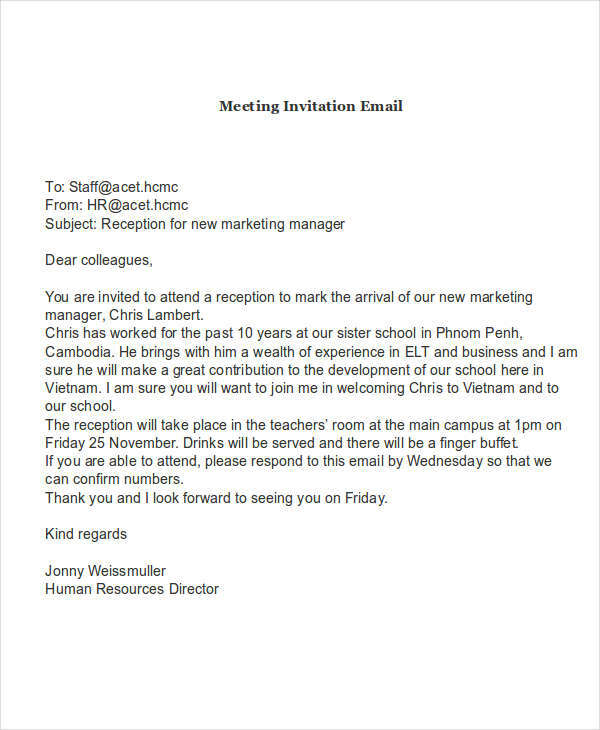 Here are some tips on how to write an effective invitation email. This should always be applied in any letter that you write. You have to use formal and professional language. Most people who use email prefer to have direct statements. Make sure to get straight to the point and explain the purpose of your email. 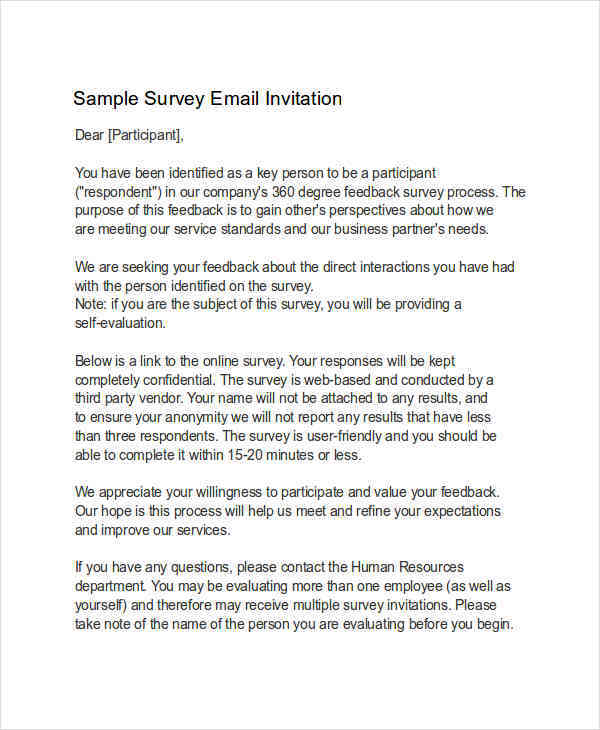 You may also like follow-up email examples & samples. Remember that you are sending an invitation. Do not sound rude and don’t force your recipients to come to the event.